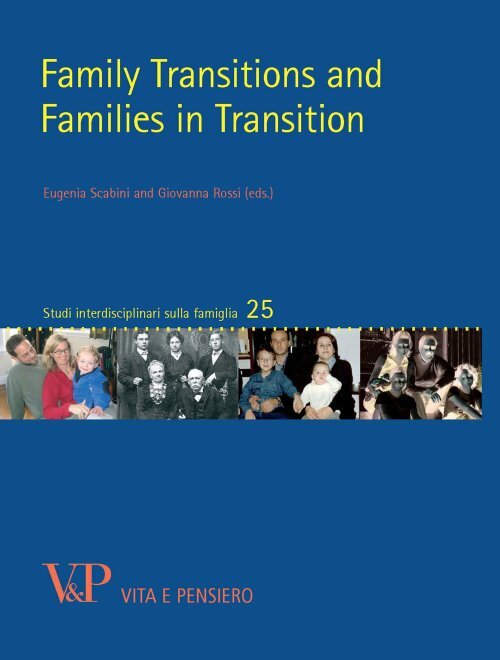 The volume presents psychological and sociological essays on family transitions as emerged during the 5th Congress of the European Society on Family Relations “Family transitions and Families in transition”, hosted by the Athenaeum Centre for Family Studies and Research of the Catholic University in 2010 in Milano. 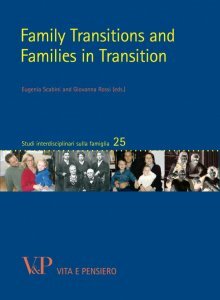 The major topics depicted in the present volume concern the transitions that the family faces during the course of life, such as transition to adulthood, marriage and parenthood, the identification of resources and risks associated with such transitions and the processes undergone by the family whenever a transition occurs. Moreover, families are always in transition, as they are involved into the social and cultural events characterizing the contemporary world, and thus have to manage the challenges prompted by setbacks like financial problems, work and family conflict, immigration and so on. All the transitions that the family experiences may either point to a difficulty to cope with change, or represent valuable opportunities to transform relationships. 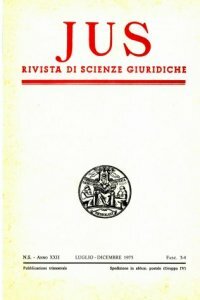 The volume is divided into two parts: the first one portrays different theoretical contributions by outstanding family scholars like Pierpaolo Donati, Johannes Huinink, Kurt Luescher, Froma Walsh, and Eugenia Scabini, while the second set of chapters presents a number of empirical studies concerning specific transitions and challenges. Interdisciplinary Studies on the Family is the cultural and scientific communication instrument of the Athenaeum Centre for Family Studies and Research (CASFR) of the Catholic University of the Sacred Heart of Milan. The Centre was founded in 1976. It has a longstanding tradition acquired over time, it can rely on a highly qualified team of scholars coming from different disciplinary backgrounds, mainly psychology and sociology and it is open to contributions from other fields such as demography, economics, philosophy, theology, law and history. Scholars and professionals that belong to the CASFR follow a theoretical and methodological framework of reference which is known as the Relational-Symbolic Approach. Within such a perspective the family is the context where crucial differences in gender, generation and lineage can be found. 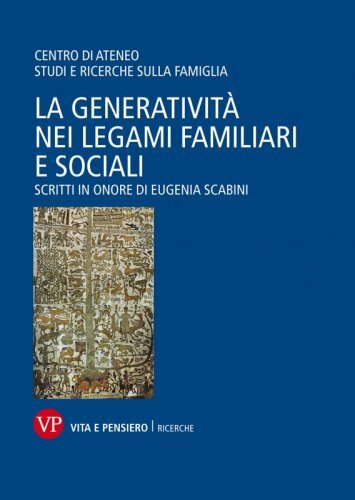 Besides, the family is considered as a social subject, with its own identity and as a unit for social policies and psychosocial and clinical interventions as well as for the scientific analysis. This approach can be applied to the critical transitions of the families along its life course and to the different forms of intervention for and together with the family. Verso una società senza madre?